Auckland rugby may be in the blues, but Auckland is increasingly competitive in the contest for the craft beer capital of New Zealand. One of several newer brewers to bubble up from this melting pot is the Deep Creek Brewing Company. Deep Creek isn’t something dodgy happening in your car’s suspension, but is a JAFA brewery (just another firsty Aucklander) that first launched their liquor in 2011 on the North Shore. Unprecedented demand has subsequently seen them branch into three brew-bars situated around the Auckland region. And proving the success point, they have just won Champion Small International Brewery at the Australian International Beer Awards 2017. These guys are totally canny with everything about beer including the packaging. Cans are better than bottles at keeping out beer’s biggest enemies, light and oxygen. Being lighter, cans are also more portable and a better fit in your car’s cup holder (joke!!!). And if you’re worried about a metallic taste, then relax, as a can is just a nano keg. Redwood American Pale Ale 5.4%. Grapefruit and pink aromas, with a forest of resinous pine and bitter grapefruit flavours, You’ll get the most bang for your buck with this brew as the hop flavour per alcohol percentage is better than epic. Dusty Gringo India Brown Ale 6.8%. 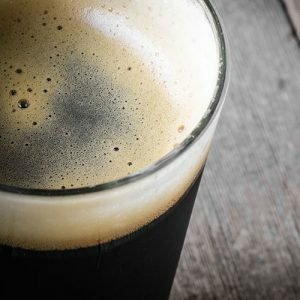 Very dark for a brown, with looks and tastes similar to a black IPA. Once again a prodigious amount of hop character predominates, but if you have the patience let the beer warm to release a load of rich chocolatey malts. Nero Chocolate Chipotle Stout 6.5%. perfect for cold, wet nights. Rich and chocolatey with a hint of capsicum. The capsicum gives both a smoky flavour and a warming heat, much like putting on your favourite cosy socks. Don’t be left up de creek without a beer paddle of Deep Creek. Cruise on down to Fresh Choice Nelson to find yours! It’s time to welcome back our Guest Blogger, Maddy Bellcroft. 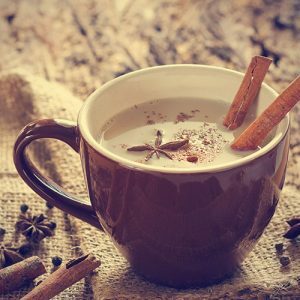 This week Maddy shares her chai tea recipe and some Fresh Choice Nelson warming drink recommendations – Find Maddy on Facebook. I love brewing up a hot chai tea to accompany my fireside reading. Warming and delicious, this spicy, sweet drink is great on a cold winter’s night. Fresh Choice Nelson has a lovely range of chai teas, especially the locally made, Mr Chai; but, just in case you fancy making it from scratch here’s my recipe. It works well with any kind of milk, but almond is my favourite. Grind spices in a pestle and mortar, spice grinder or blender until fine. Store the spice mix in a glass jar. To brew – In a pot bring milk, 2 tsp of spice mix and tea bag to a simmer for 2 minutes. Remove tea bag and add honey. Taste and add extra sweetener if desired. Pour through a fine sieve or muslin into mugs. If chai tea isn’t your thing try the Pukka tea range of digestive and after dinner teas or warm 2 tspraw cacao, 1/2 tsp coconut sugar and 1 cup coconut milk for a delicious hot chocolate. you can also grate ginger, turmeric and a pinch of cayenne and mix with a little honey and hot water for a real warming kick. Local Pinot Noir at Fresh Choice Nelson. What a selection! Here’s our wine expert, Neil Hodgson to tell you all about the excellent range we have in store… Over to you Neil! Pinot Noir is one of the most intriguing and beguiling wines produced on the planet, it can be rich and silky, delicate and floral, fruity and mellow or savoury and spicy; it is also a variety that speaks clearly of its place of origin. When grown in Central Otago, it tends to deliver rich opulent textures and flavours, in Martinborough the flavours are more savoury, whilst a Pinot Noir produced in Nelson tends to be less weighty in the mouth but have lovely fruit flavours that are more complex and intriguing. When the winemakers select the very best fruit and wave their magic wands, using just the right amount of oak to add complexity, the wine is elevated to another level and we are lucky enough to have some outstanding producers in this region. Neudorf Vineyards Have been the flag bearers for premium winemaking in Nelson for many years and their Tom’s Block Pinot Noir is a delightfully complex yet easy to drink wine. One of the few things that differentiate it from the premium Moutere Pinot Noir is that not all the fruit is grown on the home vineyard. 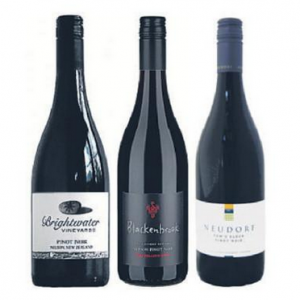 Brightwater Vineyards has been producing some wonderful Pinot Noir wines in recent years with their 2014 Brightwater Vineyards version winning a trophy at the Air New Zealand Wine Awards while their Te Kahu Pinot Noir, that is made from fruit grown on slightly younger vines, is seductively easy to drink. As we have come to expect from Blackenbrook Vineyards their Pinot Noir wines have a focus on purity of fruit with delicate savoury oak characters to add a little intrigue to the delightful fruit characters. At Fresh Choice Nelson you’ll find a wide range of beautiful Pinot Noir wines to choose from and if you want a little help to find a style to suit your tastes and budget then the friendly staff in the wine section can give you great advice! This week at Fresh Choice Nelson, we’re welcoming back Paula Saengthian-Ngam as our guest blogger (Find Paula on Facebook). If you love local cheeses, this recipe is for you… This week Paula’s stepping back in time to the seventies! 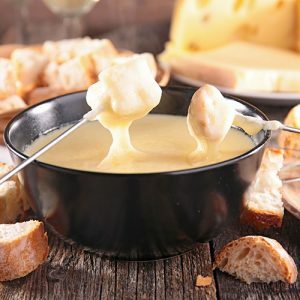 It’s a blast from the past, but something that is so comforting and delicious; it will also allow you to sample some of the delicious local cheeses at Fresh Choice Nelson… Cheese Fondue! I managed to find a couple of retro fondue sets online some time ago; and after the very wet weekend we’ve had I thought it would be a fun dinner for the kids on Sunday evening. There are so many ideas for what can be dipped into the piping hot cheese sauce. We went with warm sourdough bread, carrot sticks, roasted potato and kumara chunks, grilled mushrooms, steamed brocolliand spicy chorizo sausage. The ideas are plentiful, give things a go and see if they work. It’s a great way to get vegetables into fussy eaters. For the sauce choose some of the local cheeses available at Fresh Choice Nelson, they stock a huge range. I find a mix works well. Something sharp and strong and then some subtle rich and creamy cheeses balance nicely. You don’t have to have a fondue set to enjoy this sauce as it is made in a sauce pan and poured into the fondue to keep it warm. Just heat up a dish to serve it in an eat immediately. 100 gm cheese. Use some local cheeses. I used a mix of Wangapeka Ricketts Road for its soft, subtle creamy character and then a sharp Parmesan and a little Gruyere I had leftover in the fridge. Stir in the flour, cook for 1-2 minutes. Take off the heat and gradually stir in the milk to get a smooth sauce. Return to the heat stirring all the time and bring to the boil. Simmer for 6 minutes, season and stir in the cheese until it melts. Serve immediately with prepared bread and other dipping choices. With the days at their shortest, and the evenings their coolest, a warm and delicious pudding can be just the antidote to the evening blues. 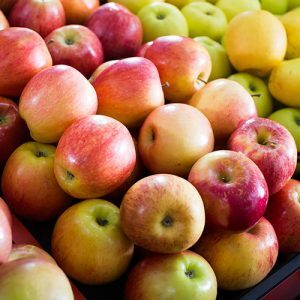 Apples are still plentiful, with lots of varieties on the shelves at Fresh Choice Nelson. You can use these in a variety of ways to create many comforting winter treats. A good fruit crumble is a simple, staple favourite, or an apple pie another good go-to recipe. I also like a Tarte-Tatin, but this upside down pudding is a nice, sticky, easy option in individual serves. Granny Smith apples make a good, slightly tart option; or choose Royal Gala or Eve apples if you prefer something sweeter and fragrant. The helpful team in the produce department at Fresh Choice Nelson will be able to direct you to a pudding-perfect variety. 1/2 cup soft brown sugar, lightly packed. Preheat oven to 180 degrees C, grease 6 ramekins or large muffin tins. Peel, core and slice each apple, add to a saucepan with a little water and simmer until they are still firm and just cooked. Drain the apples, and set aside some slices before roughly chopping the remainder until you have approximately 3/4 cup (the extra slices will be for decoration later, 20 slices should do). In a large bowl beat the egg and sugar together until well combined. Melt the butter and golden syrup over a low heat and then combine with eggs and sugar, stirring as you combine them. Add the dry ingredients and mix well. Stir in the boiling water, and then gently fold in the chopped apple. Drizzle the maple syrup into the base of each ramekin/tin, arrange 3 apple slices in the bottom of each, and then 2/3 fill each ramekin/tin with the pudding mixture. Bake for 20-25 minutes or until cooked. Rest them for 5 minutes when removed from the oven before inverting each ramekin/tin onto a serving plate. This pudding is perfect served warm with custard or vanilla ice cream, and a drizzled with a little extra syrup.